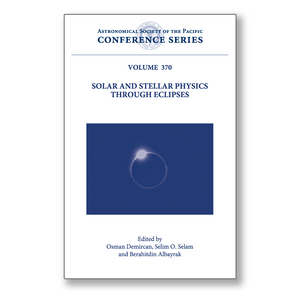 These proceedings of an international conference held March 2006 in Side, Turkey provide an interdisciplinary overview in the context of eclipse phenomena. It is well known that all kinds of eclipses in astronomy have great power in deducing new information on celestial objects. It is a kind of scanning: information on the eclipsed and eclipsing objects are scanned together with their environment. The information comes as light waves encoded by the process responsible for them. Decoding of the information requires some knowledge of the code. It was demonstrated n the fields of eclipsing binaries, solar and lunar eclipses, mutual eclipses between other solar system members and extra-solar planetary transits that the decoding of eclipse information is like a "Royal Road" to information. This is the power of eclipses. The principal theme of the meeting was to consider the importance of eclipses in astronomy and to promote exchange of information with an increased level of discussion between those involved in the fields of the Solar and stellar system studies through eclipses. The 7 invited talks, 27 contributed talks, and 24 poster papers all together provide an extensive assessment of both observational and theoretical issues. The book is suitable for researchers and graduate students interested in Solar and stellar astrophysics, and in processes in and around their atmospheres including rotation, pulsation, and the mass motions. The conference was held on the occasion and just before the great total solar eclipse of 29th March 2006, at Side ÖRSEM Campus of Ankara University, which was just on the center of the totality path.